The Ministerial events brought together 47 EHEA delegations, the European Commission, as well as the Bologna Process consultative members and partners. As a result of the 16 years of intensive work the EHEA became a reality and proved that in this globalized and competitive environment education is the key for sustainable development of the European societies. Among other issues the 2015 Yerevan Ministerial Conference attempted to identify the best ways to reinforce the Bologna Process in future and beyond 2020 and simultaneously strengthen the dialogue within and outside the EHEA. 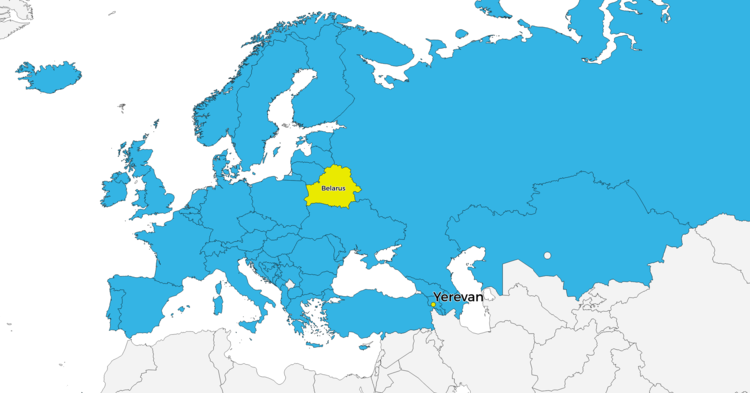 Moreover, during the Yerevan Ministerial Conference, the Ministers welcomed Belarus as a member of the EHEA. This paper on “The Bologna Process Revisited: the Future of the European Higher Education Area” is mainly based on the discussions that took place during the BFUG meeting held in Rome on 18 September 2014. The participants recognised that the EHEA has come to a turning point where a new sense of direction is needed in order to move ahead. The paper first looks back at the past 15 years of convergence and then looks ahead to new challenges, goals and strategies. The EHEA Ministers committed themselves to the long-term goal of automatic recognition (AR) of comparable academic degrees in Bucharest and proposed that a Pathfinder Group on Automatic Recognition (PfG) would explore ways to achieve this. Disclaimer: The reports listed above reflect the discussions of the Working Groups’ members, according to the Terms of Reference adopted by the BFUG. Following the request from the EHEA Ministers in Bucharest in 2012, the ECTS Users’ Guide of 2009 has been revised, in order to strengthen the “meaningful implementation of learning outcomes” in the EHEA. The draft ECTS Users’ Guide 2015 takes forward the objective of Ministers to “call on institutions to further link study credits with both learning outcomes and student workload and to include the attainment of learning outcomes in assessment procedures”. The revision has been carried out by the 2012-2015 BFUG Ad-Hoc WG on the revision of the ECTS Users’ Guide and endorsed by the BFUG and will be proposed for adoption by the Ministers in Yerevan. Following the mandate given in the Bucharest Communiqué by the Ministers the E4 Group (ENQA, ESU, EUA and EURASHE) in cooperation with EI, BUSINESSEUROPE and EQAR carried out the revision of the “Standards and Guidelines for Quality Assurance in the European Higher Education Area”, commonly known as the ESG, to “improve their clarity, applicability and usefulness, including their scope”. The revised ESG has been endorsed by the BFUG and will be proposed for adoption by the Ministers in Yerevan. Following the commitment set in the Bucharest Communiqué “to further develop joint programmes and degrees as part of a wider EHEA approach”, the BFUG commissioned a small ad-hoc expert group to draft “a policy proposal for a specific European accreditation approach for joint programmes, which should be applied to all those joint programmes that are subject to compulsory programme accreditation at national level”. Thus, the European Approach for Quality Assurance of Joint Programmes has been developed to ease external quality assurance of these programmes. The Background report on European Approach for Quality Assurance of Joint Programmes is also available. The 2015 Report on the Implementation of the Bologna Process provides a snapshot of the state of implementation of the Bologna Process from various perspectives using data collected in the first half of 2014. It provides both qualitative information and statistical data, and covers all main aspects of higher education reforms aiming at a well-functioning European Higher Education Area. The report is a successor to the first Bologna Process Implementation Report (2012) and has been developed through collaboration between the Bologna Follow-up Group (BFUG) and Eurostat, Eurostudent and Eurydice, commonly referred to as 'the data collectors'. EHEA country national reports (2015) reflect the implementation of the Bologna Process reforms since the adoption of the Bucharest Communiqué from 2012. The Report of “Future of Higher Education – Bologna Process Researchers’ Conference” summarizes the conclusions and recommendations from the second Bologna Researchers’ Conference, organized in Bucharest on 24-26 November 2014. In particular, the report puts forward several conclusions and recommendations formulated with a view to informing the discussions and decisions at the upcoming Bologna Ministerial Conference. The Ministers responsible for Higher Education and Heads of Delegation to the Fourth Bologna Policy Forum met in Yerevan to reaffirm and further their cooperation in developing higher education whose public authorities, higher education institutions, students and staff are committed to democracy, human rights, and the rule of law. A special edition of the Armenian NewMag magazine was published on the occasion of the Yerevan Ministerial Conference to be held on 14-15 May 2015 upon the request from the Ministry of Education and Science of the Republic of Armenia.